IF YOU WERE THE WEATHER » Judith Hannan Writes: Motherhood Exaggerated...and more! The Perfect Storm by Sebastian Junger is filled with characters—boat captains and fishermen, lovers and mothers, Coast Guard rescuers and meteorologists. But the main character is the storm itself; the meeting of Hurricane Grace with two other storm systems results in a weather phenomenon so massive it becomes the story’s protagonist. Writing of the Captain of the Andrea Gail’s battle with the sea, Junger observes, “… Billy’s no longer at the helm, the conditions are, and all he can do is react.” The storm is the force against which all the characters eventually react and respond. It’s not surprising that we give storms names. Weather performs many human functions. It is like an invisible family member, influencing our moods, behavior, what we wear and eat, and our physical well-being. Our language is filled with weather imagery. We take the temperature of the room; our vision clouds and our minds fog; we skate on thin ice; we are a whirlwind of activity; we become flooded with emotion and are frozen out of conversations. Illness is a weather system—a storm front that makes landfall amidst family and loved ones, altering the environment, eroding the breakwaters we have erected that were meant to keep us from harm. And illness alters our internal weather conditions; where once we might have been a calm coastal high, suddenly we might be transformed into a high altitude whiteout. Blowing snow pellets and the lack of oxygen make it impossible to take a deep breath. Our footprints are lost behind us and there is no way to tell which direction is forward. This is a two part prompt that uses weather as metaphor to help you and others understand the illness you are dealing with, either as the patient, the caregiver, a family member, or a healer. 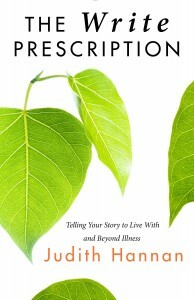 First, write about the effect of illness on your life as if it were a weather system. Think back to the first symptoms, the day of the diagnosis, the progression, the effect of treatment. Track your “illness system” the way a meteorologist would track a weather system. Use meteorological terminology. Feel free to draw maps. Second, picture yourself as a weather system. What meteorological phenomena reflect your emotional and physical condition right now? Unlike the real weather, yours can include contradictory elements. You can be a snowstorm in 80 degree weather; the sky can be a perfect blue while it’s pouring rain. Write whatever makes sense for your current condition. What is the impact of your weather system on the environment (i.e., your home, place of business, family)? What happens when your weather system meets up with someone else’s? Is your current state more Yankee Clipper or a stalled front? Become an observer of the weather. Write about what you see, feel, and experience. Use the weather metaphor to write about places, i.e., a hospital room, doctor’s office, your bedroom, a waiting room, a place you go for respite, etc.